Join our fellow congregants and light your candle to Remember the Holocaust on Wednesday evening, May 1, the start of Yom HaShoah. Celebrate Israel's 71st anniversary with us! Join us for a Kabbalat Shabbat service led by our Kindergarten, First and Second Graders, followed by Shabbat dinner. Remember family and friends who have passed away. Donate prayer books with "In Memory of" or "In Honor of" inscribed inside the front cover. Dedicate an animal or plaque for your child(ren) or grandchild(ren). The ark is located on a wall in the Religious School. TEMPLE BETH EL PADDLE RAISE FOR SECURITY-RELATED EXPENSES Yes, I want to contribute to the Paddle Raise for Temple Beth El's security-related expenses! The Yellow Candle Program 2019 sponsored by TBE Men's Club Join our fellow congregants and light your candle to Remember the Holocaust on Wednesday evening, May 1, the start of Yom HaShoah. 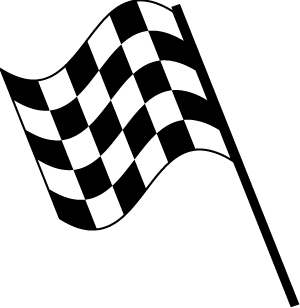 Go-Kart Racing at RPM Raceway - April 28 at 3:00pm Come and join your fellow 5th & 6th grade TBE buddies for a SUPER CHARGED, HIGH-SPEED & FUN-FILLED afternoon! There will be an on-track Go-Kart race (no experience needed), $5 arcade bucks, kosher pizza/drinks and a chance to get to know new friends. Mediterranean Shabbat | Friday, May 10 at 7:30 pm Celebrate Israel's 71st anniversary with us! Family Shabbat Dinner - May 17 at 6:00 p.m. Join us for a Kabbalat Shabbat service led by our Kindergarten, First and Second Graders, followed by Shabbat dinner. Yahrtzeit / In Memory Remember family and friends who have passed away. In Honor of Mark a special occasion, honor a friend, celebrate an event. Prayer Books Donate prayer books with "In Memory of" or "In Honor of" inscribed inside the front cover. Memorial Plaques Inscribe the name of your loved one on a plaque in our Chapel. Tree of Life Commemorate a special occasion with a "leaf" on our beautiful Tree of Life sculpture in the Temple lobby. Noah's Ark Dedicate an animal or plaque for your child(ren) or grandchild(ren). The ark is located on a wall in the Religious School. Member Payments Make a payment for dues, school tuition/fees and other synagogue obligations. Enter the amount next to each category for which you are making a payment.